Denpasar - Wednesday (04/07/2018) at Grand Santhi Denpasar Hotel, Quality Development and Quality Assurance Institution (LP3M) Udayana University held Internal Quality Audit Training which was followed by internship participants of PT Asuh superior program consisting of four private universities, University of Mahasaraswati Mataram, University of West Nusa Tenggara Mataram, STKIP Yapis Dompu and IKIP Muhammadiyah Maumere. 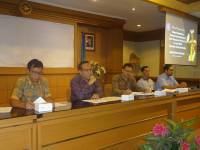 The training presented three resource persons namely Prof. Hartanto Nugroho (UGM), Prof. Dr. drh. 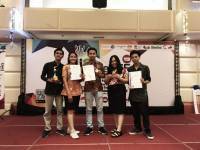 I Nyoman Sadra Darmawan, MS and Dr. I Wayan Suardana, S.ST., M.Par. 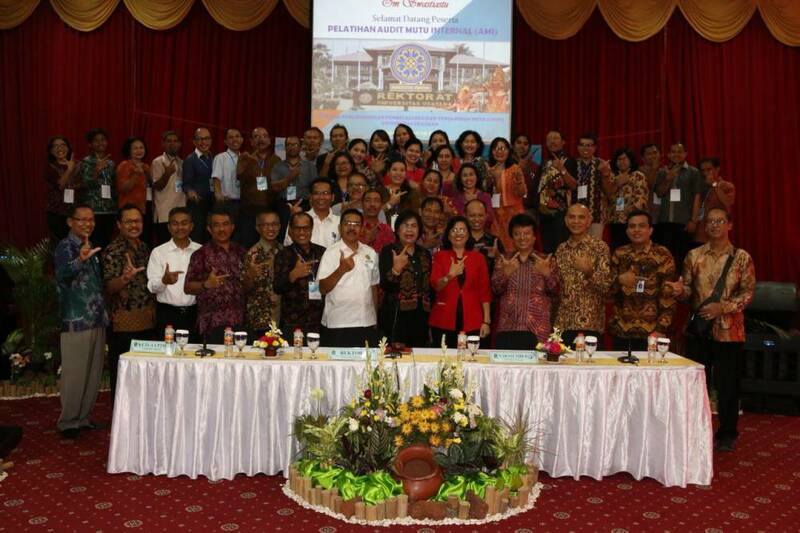 The event was also attended by the Deans of Universitas Udayana. Chairman of the Committee, Ir. I Nyoman Budiarsa, MT., Ph.D, in his report said that this activity is implemented as a form of implementation of the Internal Quality Assurance System, in order to guarantee and improve the quality of universities which includes standard completeness, standard implementation, evaluation, control and standard improvement. The implementation of quality assurance will be evaluated through an internal quality audit. Audit conducted to determine whether the implementation is in accordance with the standards set. The results of the audit will describe the quality condition of each Study Program in order to determine the quality improvement. The purpose of the training is to train participants to carry out internal quality audits by verifying the suitability of SPMI implementation with SN Dikti in getting quality recommendation as well as educating lecturers to be internal auditors. Participants who attended were lecturers who had never attended training from quality faculty units of each faculty and internship representatives PT Asuh Unud. The material presented includes the Iternal Quality Assurance System and Internal Quality Audit Theory and Theory of Internal Quality Planning and Implementation. In this training, quality document audit practices and audit report reporting are also carried out. Through this training is expected to give birth to new internal auditors to improve the quality of the Study Program towards international accreditation.